Directed by Alexander Witt. With Milla Jovovich, Sienna Guillory, Eric Mabius, Oded Fehr. 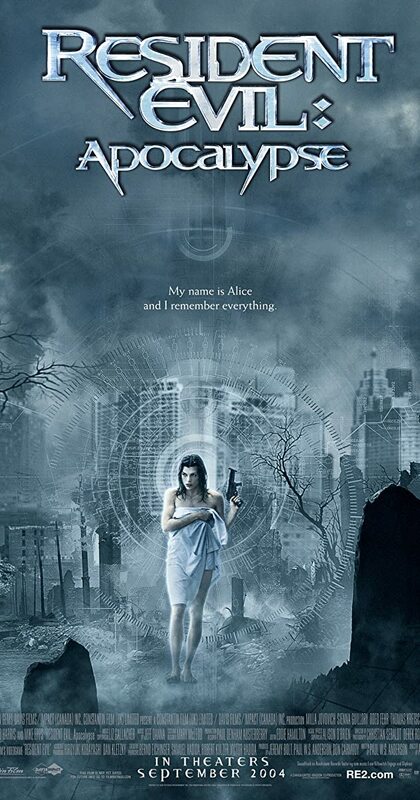 Alice wakes up in Racoon city hospital after the city has been overrun by zombies. Alice must now make it out of the city before a mucilage bomb is dropped on the city.